Daddy raised a few beef cows on our small farm in Tennessee, never more than 20 or so. He sold the calves to feed lots when they were several months old, and kept a few to sell as yearlings for beef. The cows were all Herefords, but the bull was an Aberdeen Angus, always a short, black, thick, shiny bull with no horns and a prodigious amount of muscle (i.e., nicely marbled beef). Daddy named his bull after whomever he bought it from. The first one I remember was Charlie, after Uncle Charlie, Aunt Maud’s husband. Charlie was a beautiful bull and did his job well, producing pretty hybrid calves, but he liked to eat. He got so fat that Daddy was afraid he would fall and break a leg, which would be the end of him, so he sold him. I was in college when Daddy sold him and bought Little Charlie, also from Uncle Charlie. Little Charlie also was efficient with his herd, but he had a couple of quirks. He insisted that Daddy greet him and pet him whenever he came to the stable to be fed. If Daddy pretended to ignore him, Little Charlie would push Daddy with his head and nearly knock him over until he got attention. The other quirk involved the way he got up and down from lying in the field. Have you ever seen a cow get up? 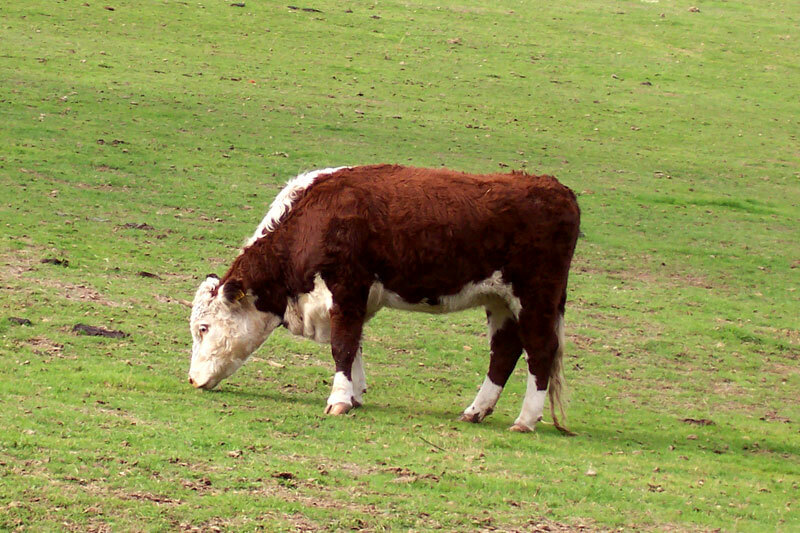 Normally, a cow lies on its chest and stomach with its legs tucked under. When it rises, the back end comes up first, and the front end follows. Little Charlie got up like a dog–front end first. And sometimes he would pause in transit and sit like a dog for a few minutes as well. Little Charlie raised his front, legs straight. He sat for a few moments contemplating Daddy, then finished rising to his feet and walked over to nudge Daddy with his nose. I snapped pictures as fast as the Instamatic would go. Somewhere in the boxes and boxes of old photos in my basement there’s a picture of a stocky black bull sitting like a dog in a green field. Isn’t it fun to think about the past and then go digging through photos to confirm your memory. My daddy named all of his cows, bulls, even chickens. One hen was Elizabeth Taylor. Most of the female animals were named after someone famous.